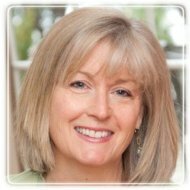 Wilmette Therapist: Mary Lynn Meyers - Therapist 60091. Send A Message To Mary Lynn. I have been helping support individuals and families in Chicago’s north suburbs for over twenty years. After careers in women’s health and marketing, raising a family and volunteer work in adolescent health at LINKS - North Shore Youth Health Service, I received my Masters in Social Work at Loyola University/Chicago. Additionally, I completed a post-graduate training program at the Center for Family Consultation in family systems theory and integrate that perspective into my work. In conjunction with a colleague, I initiated and developed EBH Parenting Networks that brings parents of elementary, junior and senior high school students together to support healthy, responsible and mindful parenting efforts. I am available for consultation to parents who are interested in developing their own customized groups for either psycho-education or support group purposes and can act as a facilitator for meetings. My interest in adolescent and young adult issues was further developed during my work at a large university student wellness clinic and a residential treatment center for “emerging” adults dealing with serious mental health issues. I have also worked in the past in the area of women’s health and sexuality at women’s centers in Cleveland, Ohio and Durham, North Carolina. Finally, I acquired an interest in the challenges of the geriatric population working at the North Shore Senior Center in Northfield, Illinois and worked on a range of issues including life transitions, end of life issues and elder abuse.